When iOS users craved a really great Gmail experience on the iPhone, they received in the form of Sparrow, which Google eventually acquired. In terms of maximizing your Gmail experience on the iPhone, the latest Gmail iOS update was actually decent. 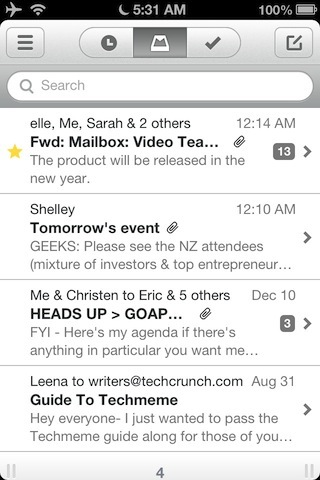 But in the new year, a new app called Mailbox looks to change the game for Gmail users on iOS. We’ve come to believe email is here to stay. And while we can’t get away from it, we can change how we interact with it. We can put email in its place. That’s where Mailbox comes in. We’re creating a mobile-first email experience from the ground up — challenging assumptions about how email works and redesigning the inbox for a world on the go. In contrast, Mailbox takes a very stripped-down approach, providing a limited set of options for dealing with email. It breaks incoming emails into three basic categories: Those you’d like to keep in your inbox, those you’d like to save for later, and those you’d like to get rid of as quickly as possible. The whole thing is built on the concept of gestures, basically swiping left or swiping right over an email in your inbox to do something with it. 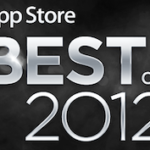 Want to archive an email? A short swipe to the right will do that, clearing it from view. Want to delete? Try a longer swipe right. 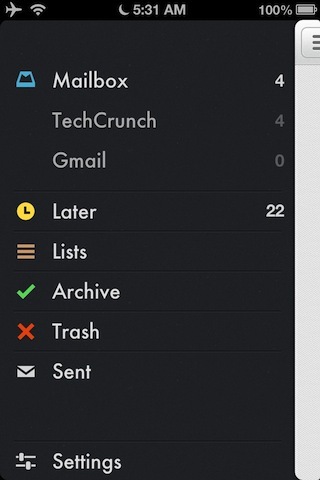 Mailbox is coming next year. Let’s hope it lives up to the hype.